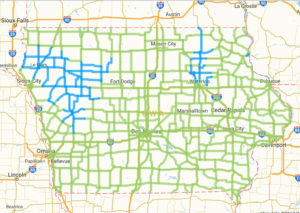 The blue shows partially covered roads, while green indicates normal winter driving. This ice is clearing away from most of Iowa’s state roadways as temperatures rise. The Department of Transportation road report shows a majority of the state’s roadways have normal winter driving conditions today. 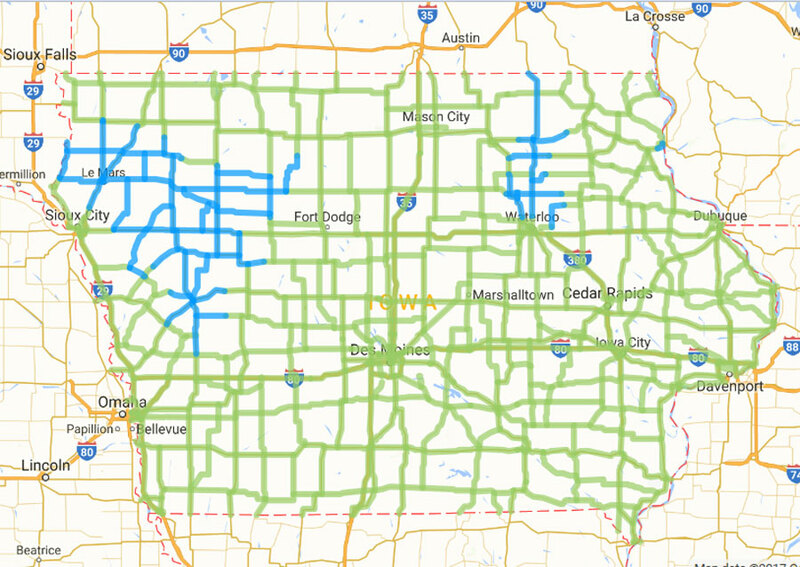 However, roadways in sections of northwest Iowa from Spencer down through, Cherokee to Dennison and Harlan are still shown as being partially covered in ice. A section of Highway 63 from the northern border of Iowa down to Waterloo in northeast Iowa is also shown as being partially iced covered. Some of the other state highways along that stretch show the same condition. You are advised to check the DOT’s 511 travel information site before heading out.